Made in Solingen, Germany. 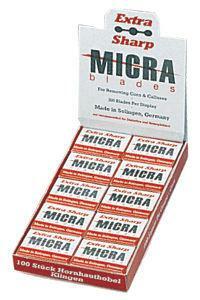 These high-quality extra sharp double-sided blades fit all brands of callus shavers and corn cutters. Will not rust. 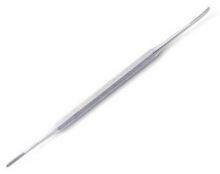 Stainless steel, heavy duty barrel spring with precision sharp blades. 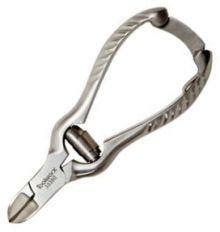 Powerful barrel spring to handle the toughest toenails. Includes safety clasp. Best when used after showering or softening nails by soaking feet in warm water. Cut toenails straight across to avoid painful ingrown nails. Stainless steel, corn planner. 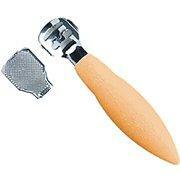 For reducing corns, calluses and layers of dead skin. Replacement blades sold separately (see above). Stainless steel, dual tips with textured body for added control. Helps relieve pain from ingrown toenails and prevent future ingrown nails. Straight tip relieves pressure while curved tip easily gets into difficult areas. Fine ends for smaller or more sensitive areas. Best to use after bathing or soak in warm soapy water to soften nails. Gently slide straight tip under the ingrown nail. Soften and relieve pressure by filing back and forth several times under the surface of the ingrown nail. Repeat until pressure is relieved. Use the curved tip to clean under nails and get into corners.